DAVID LE/Staff photo. 2/14/15. 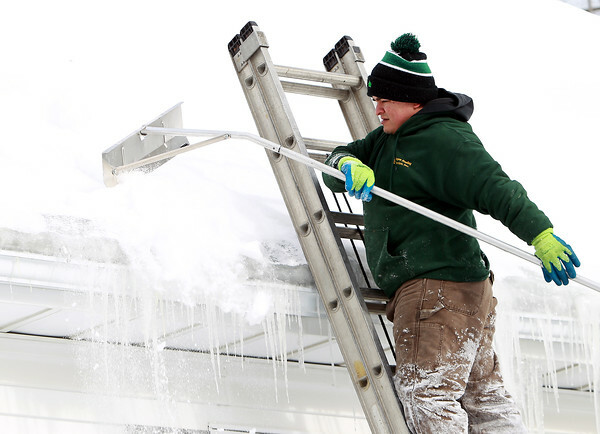 Juan Calle, an employee of Aspen Roofing, clears snow off the roof of a Danvers house on Saturday morning.